Attention Aviation Enthusiasts! We'd like to welcome you to a very special event. 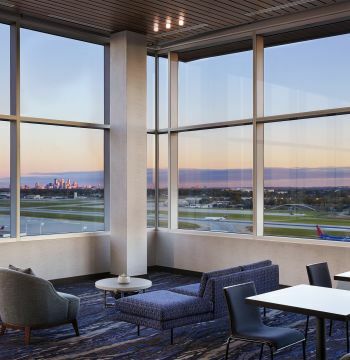 You're invited to enjoy a front row seat to MSP Airport's runways from "Altitude," the observation room on the 12th floor at the new Intercontinental MSP Airport Hotel! You'll be treated to a one-of-a-kind view from our floor to ceiling windows and witness the steady stream of planes taking off and landing in virtual silence. Bring your friends! Food and drink will be available for purchase and you can self park all day in the ramp next to the hotel for just $5! Stop in any time between 11am and 4pm. Inquire at the front desk for a special room rate available to attendees. See you there! Please note: Due to Minneapolis Health Code Regulations, no outside food and beverage is allowed at the event.